Lately there has been a lot of talk about Snow Leopard’s supposed new UI theme, called “Marble” by those in the know. There have been many sources of this rumor, from AppleInsider to John Gruber but there still isn’t too much hard evidence proving its existence. The new UI theme has been said to be closer to the current look of iTunes (UI elements pictured below) than anything else, darker window chrome and light text on dark background menu bars. But it is easy to point towards iTunes and tell you that this is what Snow Leopard will look like. 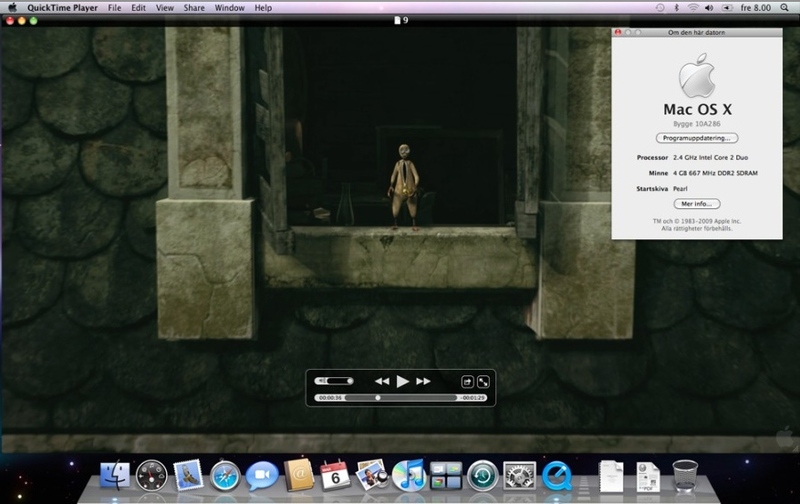 If only it were that easy, although there have been some screenshots of Snow Leopard leak depicting a new look for QuickTime (shown above and which hasn’t been confirmed, the screenshot may be fake) no one really knows exactly what Snow Leopard will look like. What makes matters even more confusing is the recent release of Safari 4 Beta which doesn’t have very many (if any at all) of the UI tweaks that we are all expecting to appear in Snow Leopard. Safari’s chrome has actually appeared to get lighter, not darker in the switch from version 3 to version 4. 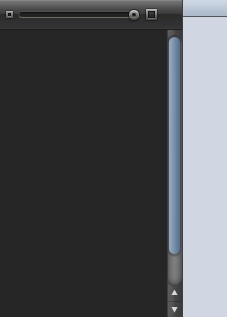 The scroll bars in Safari didn’t the same design change that we’ve already experienced in recent releases of iTunes. So, unless Apple has decided to leave these elements out of the current Safari 4 release and plans to release it with Snow Leopard, something is awry. AppleInsider claims that this UI overhaul will come with the next developer build of Snow Leopard. I find this incredibly hard to believe since Apple has publicly announced that there won’t be any new user-facing features in Snow Leopard, if they neglected to factor in the UI changes then one would assume it would be a big selling point for Snow Leopard, releasing it in a developer seed would surely allow it to leak online. But, Apple wouldn’t want it to leak online, Apple wants to control when users find out about Marble, my guess is that we won’t be seeing too much hard evidence of Marble until WWDC, which will be held at Moscone West in San Francisco June 8-12. 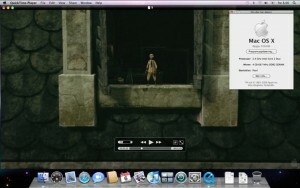 Update 6/10/09: The Marble UI theme isn’t going to be coming in Snow Leopard. There are hints of it in applications like QuickTime X but it seems as though Marble is being pushed into 10.7. WWDC Keynote 2009.